A new interdisciplinary program in Environment, Ecology and Energy (E³P) will leverage the College’s strengths in natural sciences, social sciences and humanities to teach students how to best manage resources in an ever-changing world. 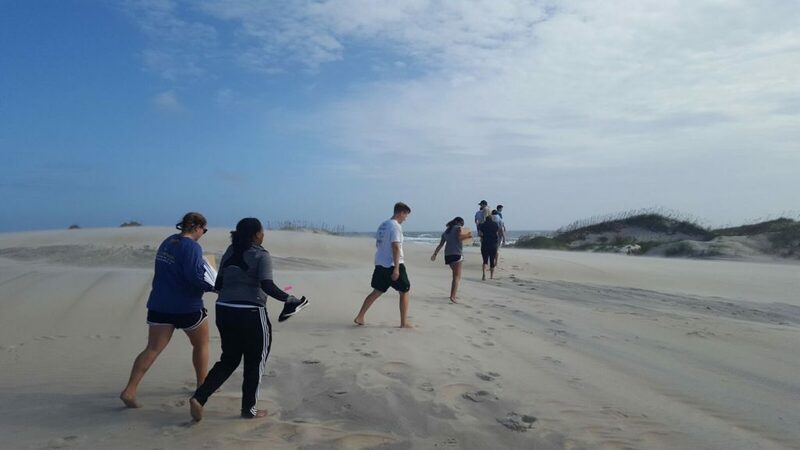 Students walk across the sand at the Outer Banks Field Site. 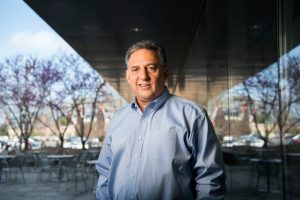 Greg Gangi started the UNC Clean Tech Summit five years ago to connect students with clean-tech thought leaders in academia, government and industry. About 400 students attend the two-day, on-campus event each year, with students from 10 universities represented at last spring’s summit. Gangi is excited about the growing opportunities to connect students to careers in the clean-tech industry as part of the new Environment, Ecology and Energy Program (nicknamed E³P), which launched in July after a lengthy strategic planning process to enhance and expand the pre-existing curriculum in environment and ecology. “We are teaching them how to think outside the box through multiple disciplines and to consider different perspectives and find new paths,” she said. Student interest in environmental science at both the undergraduate and graduate levels has more than doubled in the past decade, Cable added. In the past environmental science majors might have wound up at a natural resources department, but today’s students are pursuing diverse paths, from working at energy startups to writing for Outside magazine. The new program will focus on interdisciplinary research challenges such as coastal and hazards resilience, natural resources, biodiversity and ecology, and environment and development. It will emphasize experiential education opportunities such as service learning, study abroad and field site work. Students can currently participate in field sites offered in partnership with the Institute for the Environment in the Triangle, Outer Banks, Morehead City and Highlands in North Carolina, as well as established programs abroad in Thailand and the Galapagos. International field studies have also been conducted in Denmark, Germany. Sweden and Siberia. Closer to home, students have undertaken research in the Sierra Nevada mountains and the U.S. Virgin Islands. 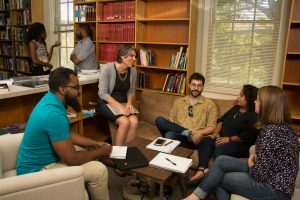 A new EcoStudio incubator (http://ecostudio.unc.edu) in Venable Hall is providing students, regardless of major, with on-campus experiential learning opportunities. Undergraduate students are paired with faculty and graduate student advisers to work on environmentally focused projects in a flexible work space outfitted with computer stations, white boards and spaces for collaboration. Spring 2018 projects included updating a campus tree inventory with University arborist Tom Blythell and examining the energy efficiency of a LEED-certified building for the UNC School of Dentistry, according to Brian Naess, a lecturer and GIS analyst who works with students in the incubator. E³P will develop stronger alliances with social sciences and humanities departments in the College as well as UNC’s professional schools. The program already offers dual bachelor’s/master’s degrees with the schools of Media and Journalism, Information and Library Science and Government — and provides a pathway to a master’s in the Gillings School of Global Public Health. To understand the importance of social sciences to environmental solutions, think of a topic that sounds as simple as constructing bike lanes, said Noreen McDonald, chair of the department of city and regional planning and a member of E³P ‘s executive planning committee. There are technological and engineering aspects to consider, but adding bike lanes to roadways affects communities — and the issue can be controversial. McDonald believes that urban development is the critical environmental issue of this century. Her department offers courses in land use, energy, housing and economic development and may explore opportunities for new courses in smart cities and urban analytics. “With this new program, students can be cross-trained and also specialize,” she added. E³P ‘s focus fits well with the research and teaching passions of Rachel Willis, a professor of American studies, who is helping port communities worldwide understand the impacts of climate change. She is finishing up a book on the subject. Her new APPLES service-learning course, “Rising Waters: Strategies for Resilience to the Challenges of Climate,” will be offered this fall. Another course, “Global Waters: American Impacts,” was specifically designed to address cross-discipline issues, ranging from health effects to infrastructure planning. She is also partnering with E³P faculty to develop an interdisciplinary course that complements the UNC Clean Tech Summit. Teaching assistant professor Leda Van Doren, who was recently hired to teach courses in energy, comes from both an academic and an industry background. 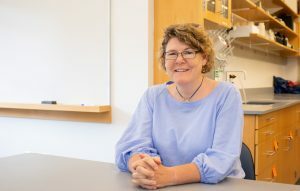 Van Doren received master’s and Ph.D. degrees in environmental engineering and energy, respectively, from the Swiss Federal Institute of Technology Lausanne, and she had a postdoctoral fellowship at Cornell University. She also worked for the U.S. Department of Energy, where she developed methods for designing sustainable algal biofuels production processes that are both economically competitive and environmentally beneficial. 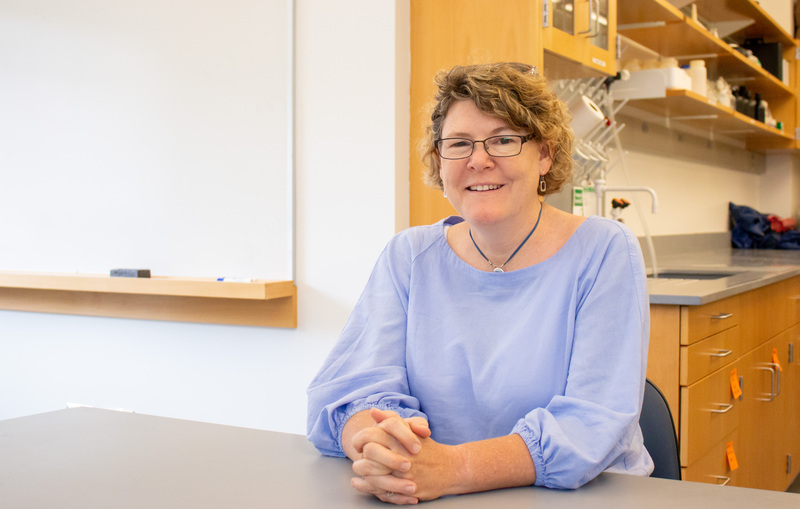 This fall she’s teaching a senior capstone course as part of the Chancellor’s Three Zeros Environmental Initiative, where students will work on updating the campus greenhouse gas inventory and developing guidelines to reduce emissions.